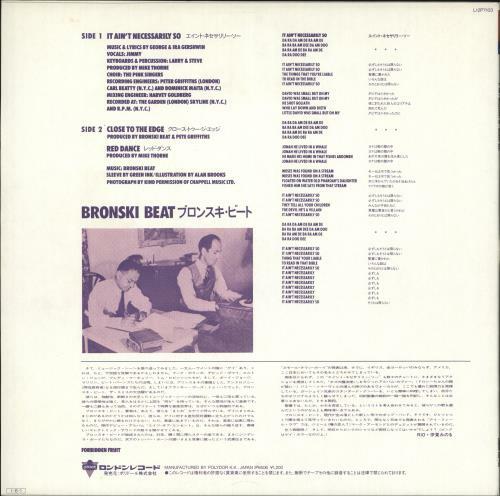 BRONSKI BEAT It Ain't Necessarily So (1984 Japanese 3-track vinyl 12" single, also including Close To The Edge and Red Dance, picture sleeve with lyrics on the reverse. The sleeve displays some light wear and the vinyl has a few light signs of play, overall an excellent example L12P7103). 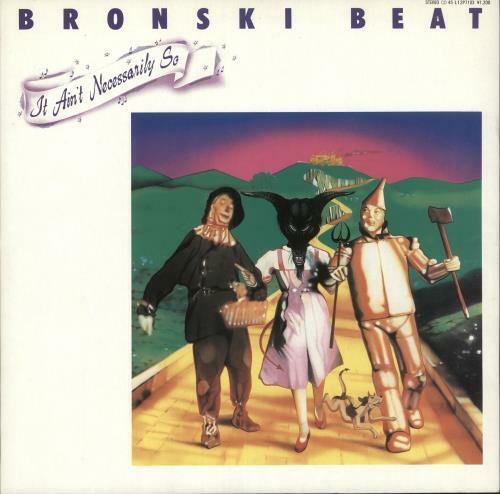 or visit our Bronski Beat image gallery.